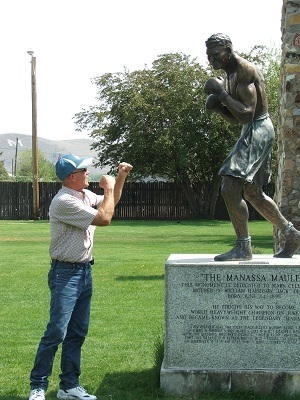 During your stay in the San Luis Valley, enjoy the Jack Dempsey Museum in the small town of Manassa. 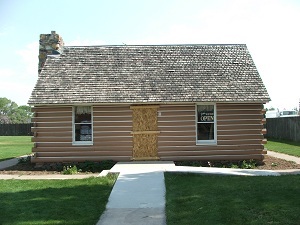 The Museum is located on Highway 142, east off of Highway 285, towards the southern end of the San Luis Valley near Antonito. The hours for the Museum are 9:00 a.m. – 5:00 p.m. Tuesday through Saturday from Memorial Day through September. There is no admission, but donations are appreciated. 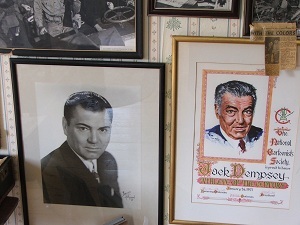 The Museum is in the home where Jack Dempsey spent a portion of his childhood. 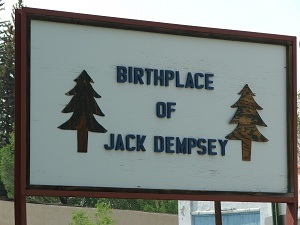 It is a small, one room home which has been converted into a memorial for Jack Dempsey. His history is well worth reading. The lady who was at the Museum when we (Debbie and husband Neal) went was so knowable about Jack Dempsey. It was very entertaining to listen to her talking about him, it was almost like she knew him personally! Jack Dempsey was married three times. His last wife’s daughter continues to find information about Jack Dempsey and sends it to the Museum. She also stays in contact with the caretakers of the Museum. Jack Dempsey’s biggest hero was his mother. Can’t go wrong with a child like that! This Museum is also part of the Los Caminos Antiguos Scenic Byway. There is a grassed area beside the Museum which would be great for a picnic or to stretch your legs while traveling in the San Luis Valley.